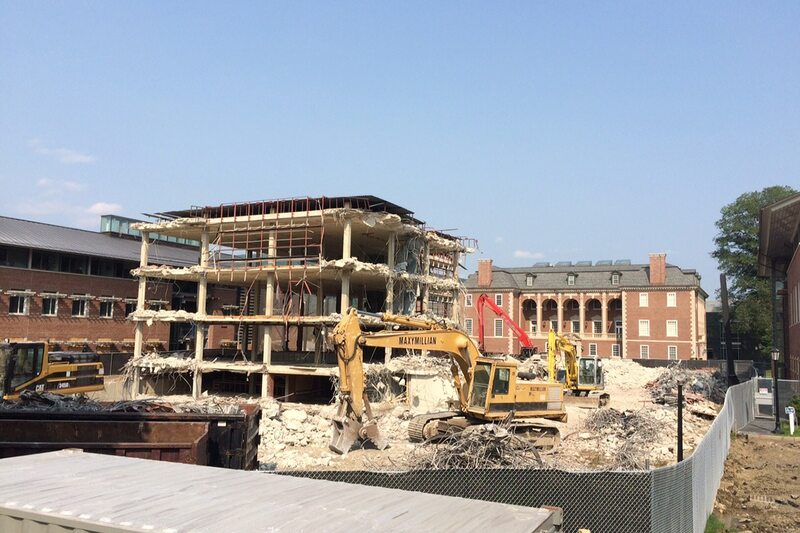 Williams College - ​Demolition of Sawyer Library and Construction of New Quad - J.H. Maxymillian, Inc. 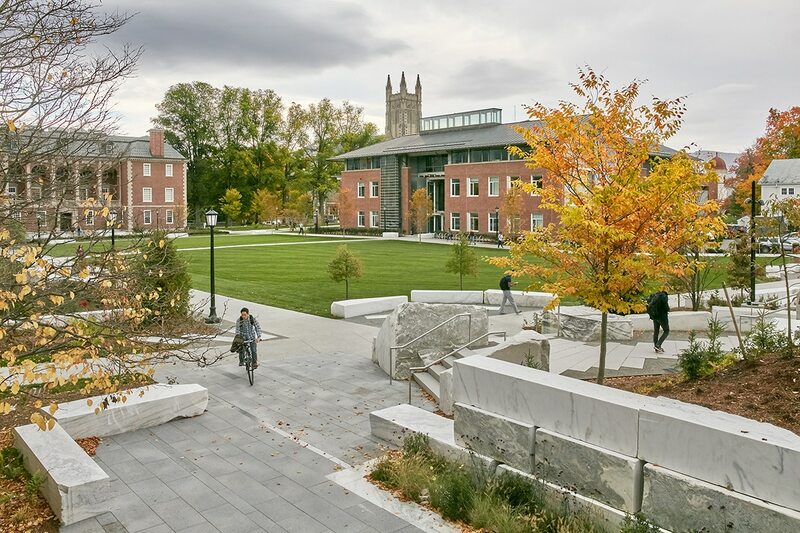 This was a $12 million, multi-phased renovation that created an innovative, new green space/academic Quad in the heart of the Williams College campus in Williamstown, MA. The extensive, fast-tracked project scope was completed in two phases. 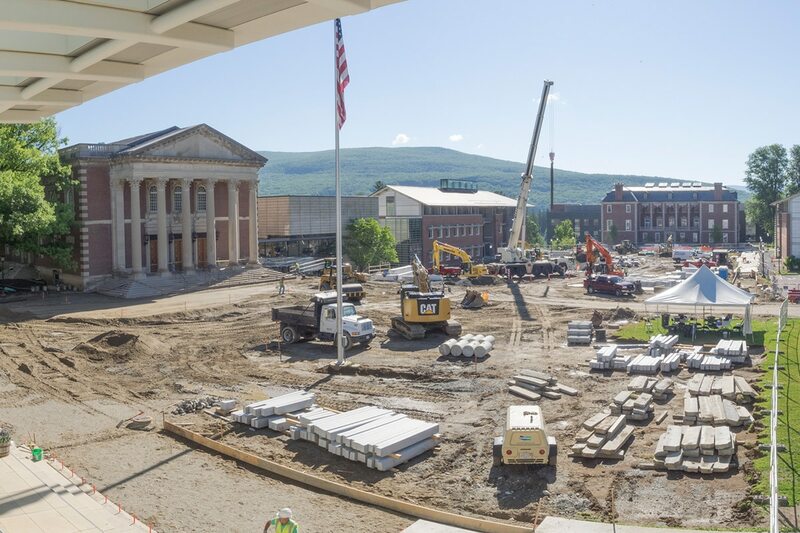 In Phase 1, Maxymillian demolished the Sawyer Library and installed temporary sidewalks and turf that would be replaced in Phase 2 with the new Quad landscaping. Before collapsing the library into its footprint, a custom 4 story beam/netting shield was erected to protect the occupied school buildings less than 25’ away. Over 7,000 CY of demo material was crushed on-site and combined with 5,000 CY of local borrow to backfill the cellar hole. Maxymillian also constructed the new Stetson Plaza, the new North Parking Lot, and a new Chapin Hall Drive South. In Phase 2, 8 Maxymillian crews and 16 subs were adeptly coordinated 8-10 hours/day to demo, hardscape and landscape the entire 3.4 acre space in only 12 weeks.